Raspberry Pi has long been the favorite of modders and hackers who wanted a small, but more importantly, a cheap computer they can play around with. At around $20-35, it is one of the cheapest computers you can buy today. But what if you wanted something even cheaper? Sounds kinda impossible but they have managed to make it in the form of the new Raspberry Pi Zero, a $5 computer. So what does $5 get you? For starters, it has the same Broadcom BCM2835 processor from Raspberry Pi 1, except it's now 40% faster. There's also 512MB of LPDDR2 RAM, microSD slot for storage, mini-HDMI port for 1080p60 output, microUSB for data and power, unpopulated 40-pin GPIO header and unpopulated composite video header. 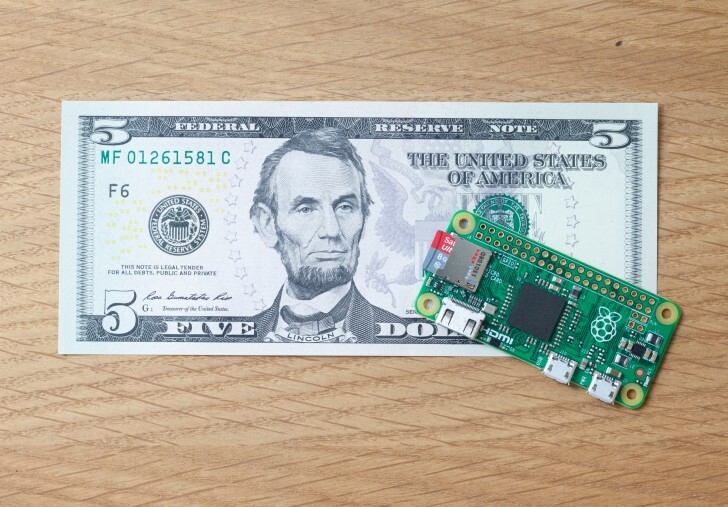 At 65mm x 30mm x 5mm, it is also the smallest Raspberry Pi yet. The Raspberry Pi Zero will be available in UK from element14, The Pi Hut, and Pimoroni and in the US from Adafruit and Micro Center. They will also be giving away one with every December issue of The MagPi magazine in the UK.